High quality coaching at all ages and ability levels is essential in helping netball to be the number one sport for women and girls in England. The role of the coach in helping to develop players and teams cannot be underestimated. They are responsible for training athletes and providing them with the skills and competencies necessary through structured, enjoyable and safe practices. As the coach is responsible for guiding and mentoring athletes the responsibilities of this role can vary significantly. The roles a coach will and can undertake are inclusive of Instructor, Assessor, Mentor, Demonstrator, Advisor, Friend, Motivator and Counsellor. The list is endless and does not stop there. Therefore it is important to acknowledge that the role of coach does not stop when the session or fixture is over, it is continual. England Netball recognises the need to provide coaches with a portfolio of courses and workshops that are packed with expert knowledge, covering all areas of player and game development. The majority of our coaches for 2016/2017-; are qualified to UKCC Level 2, which includes First Aid and Safeguarding Children. We are also mentoring two Level 1 coaches aiming to achieve their Level 2 qualification in the near future. We are keen to ensure that our coaches carry out their duties to the best of their abillity and have therefore provided a means of obtaining feedback from players. To submit your feedback please download the Coaching Feedback Form and give to your captain to pass to your coach, or email to TBNC Admin - all forms will remain anonymous. 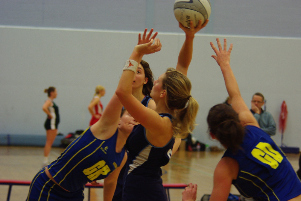 Avon Netball Association and TBNC offer financial assistance for attending coaching courses. For more information please go to the Avon Netball web site or contact the Avon and Wiltshire Netball Development Officer Emily Harrison.